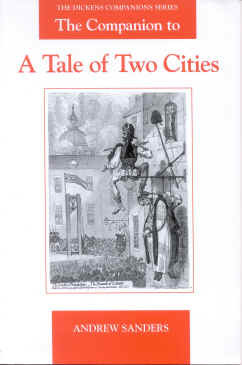 A Tale of Two Cities was serialized in 1859 in Dickenss new weekly venture, All the Year Round, and was published in book form in the same year. It has remained one of his most consistently popular works, admired as much for its succinct plot as for its vivid setting. Although Dickens himself thought it the best story he had written, it has often been unjustly disparaged by critics. This Companion to A Tale of Two Cities reveals the great care Dickens took with the planning and preparation of his story and clearly indicates its roots in the work of the most influential thinker of the Victorian age, Thomas Carlyle. It also explores the aspects of Dickenss life, especially his interest in private theatricals, which contributed to the genesis of the novel. For the first time the historical sources for the very individual account of the French Revolution presented in A Tale of Two Cities are examined, and Professor Sanders investigates the novelists debt to French and English eyewitnesses of what Dickens calls "that terrible time". The Companion to A Tale of Two Cities identifies the multitude of allusions to what Dickens often regarded as the whims of eighteenth-century justice, religion, philosophy, fashion and society. It provides the modern scholar, the student and the general reader with both fundamental sources of information and a fascinating account of the creation of a complex historical novel, the importance of which was reassessed during the bicentenary of the French Revolution. Andrew Sanders teaches in the Department of English at Durham University and has written extensively on Victorian literature. What Andrew Sanders offers is, to quote his general editors, a "factual rather than critical" annotation of the complete novel. The Companion also has a useful "factual" introduction, mainly about the novels inception.